Following the success of last year’s Best Time Ever Tour, which sold out multiple shows across the country, The KIDZ BOP Kids are hitting the road again in 2018! KIDZ BOP, the No. 1 kids’ music brand, and Live Nation have announced the launch of the all-new North American Tour, KIDZ BOP Live 2018. 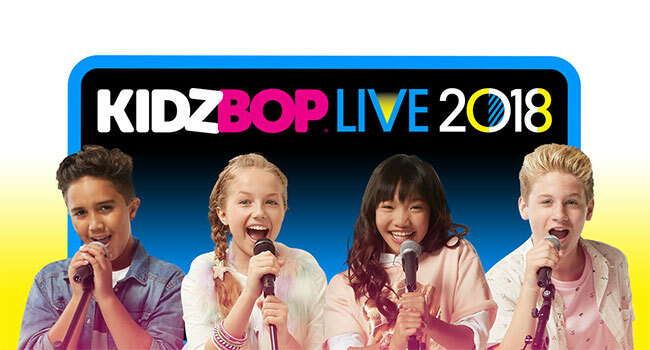 The tour announcement coincides with the release of KIDZ BOP 37, the latest album in the best-selling music series. The summer leg of the all-new tour kicks off in Toronto on June 1st and will hit more than 30 cities, including New York, Los Angeles and Boston. Tickets for spring & summer dates of the KIDZ BOP Live 2018 Tour go on sale to the general public starting Friday, January 19th at LiveNation.com. Citi is the official presale credit card for the KIDZ BOP Live 2018 Tour. As such, Citi cardmembers have access to purchase U.S. pre-sale tickets, which are available beginning Tuesday, January 16th at 10 am local time until Thursday, January 18th at 10 pm local time through Citi’s Private Pass program. KIDZ BOP Live 2018 is the ultimate family concert experience, “sung by kids for kids.” The KIDZ BOP Kids – Billboard Magazine’s No. 1 Kids’ Artist for eight consecutive years (2010 – 2017) – will headline the new show, performing some of today’s biggest hit songs. Just in time for the new tour, three new talented young performers – Olivia (11), Shane (13), and Indigo (11) – are joining the existing group of KIDZ BOP Kids: Ahnya (13), Cooper (14), Freddy (13), Isaiah (11) and Julianna (13). Four KIDZ BOP Kids will take the stage for each performance, which will include innovative stage design, special effects, fan interaction, and even a parent lip-sync battle to 90’s hits.